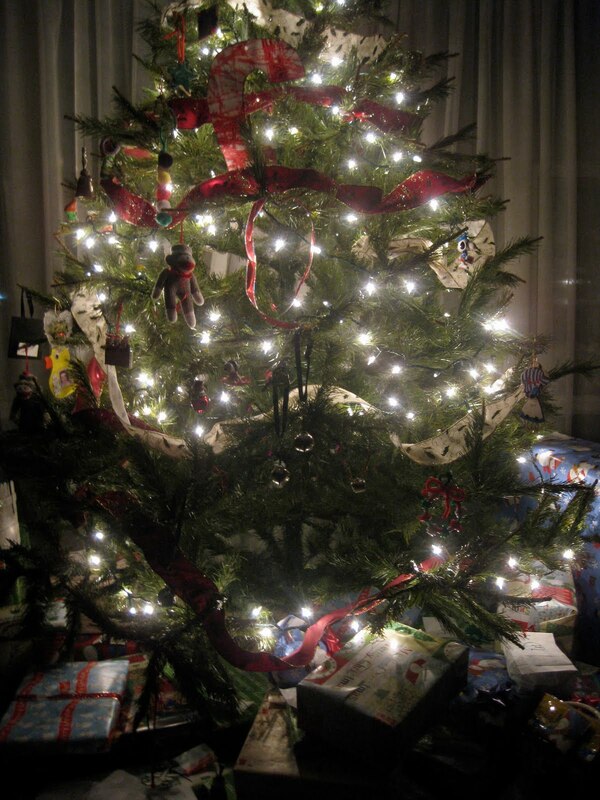 It was a calm Christmas morning. 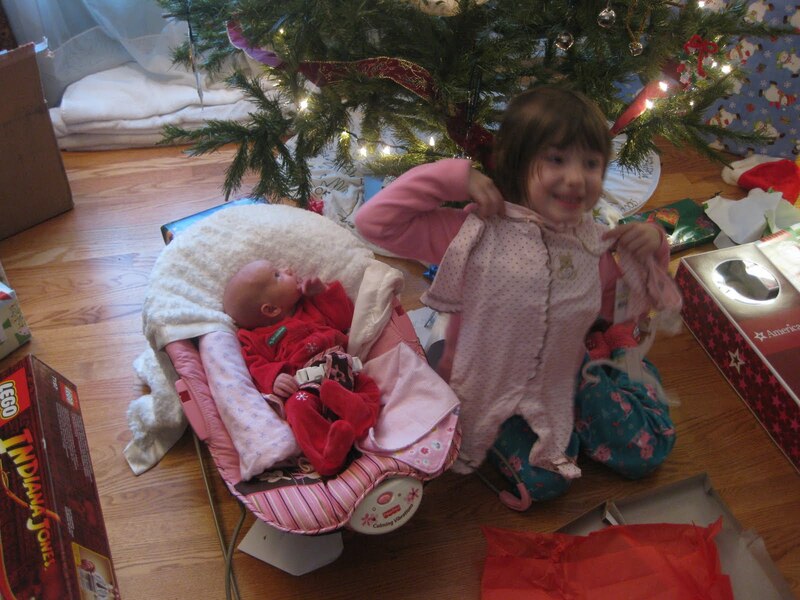 Our five-year-old daughter received two babies for Christmas. 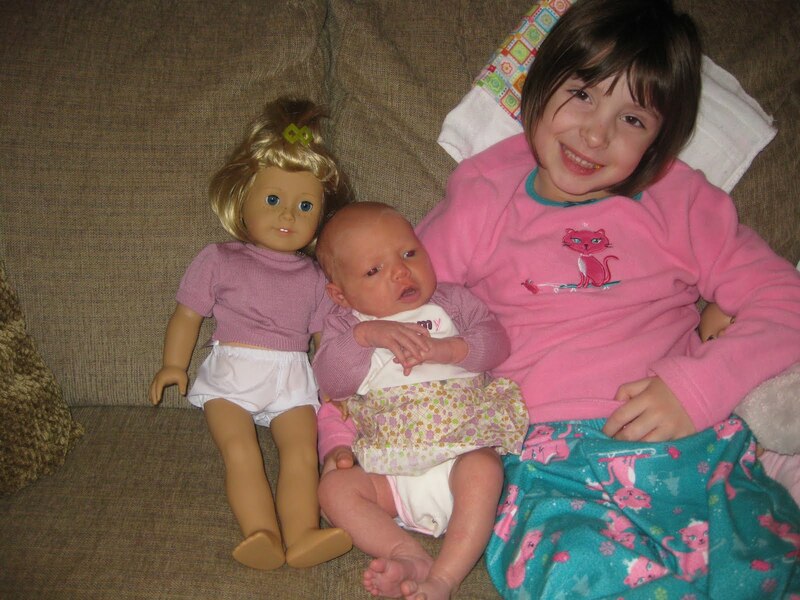 First, she got a baby sister. 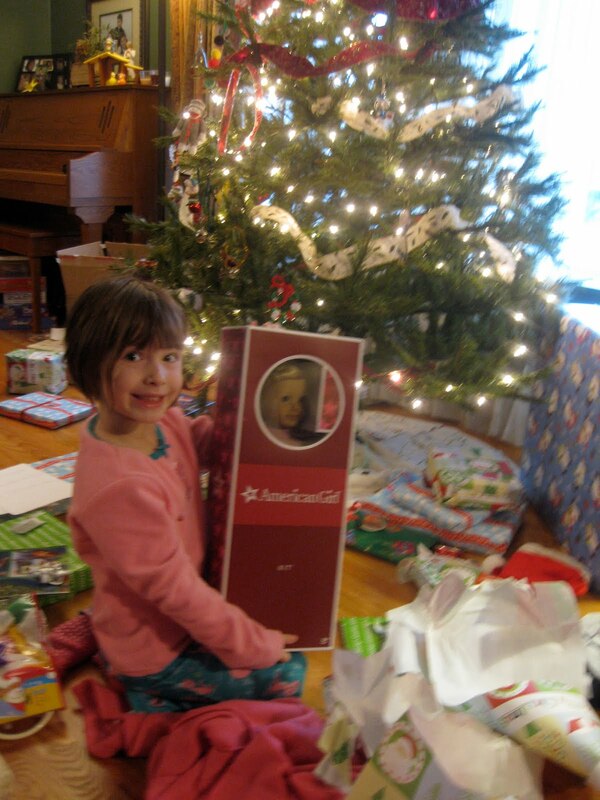 And today, she received Kit, the American Girl doll. She thinks Kit’s name should be “Lilly”. Baby #1: Wow, Lilly. You look sweet in that outfit. All they give me to wear are these sleepers with the footies. Lilly: Thanks. This outfit was $54 at the American Girl store, plus $13.95 for shipping. Baby #1: You know, Lil, I think we’re about the same size. What size shoes do you wear? Lilly: I’m a size 0, of course. Baby #1: You don’t mind if I just borrow this for a few hours, do you? I have a big party later this weekend. Lilly: I don’t think so. I’m going to need my cardigan back. Too cute! I love it! 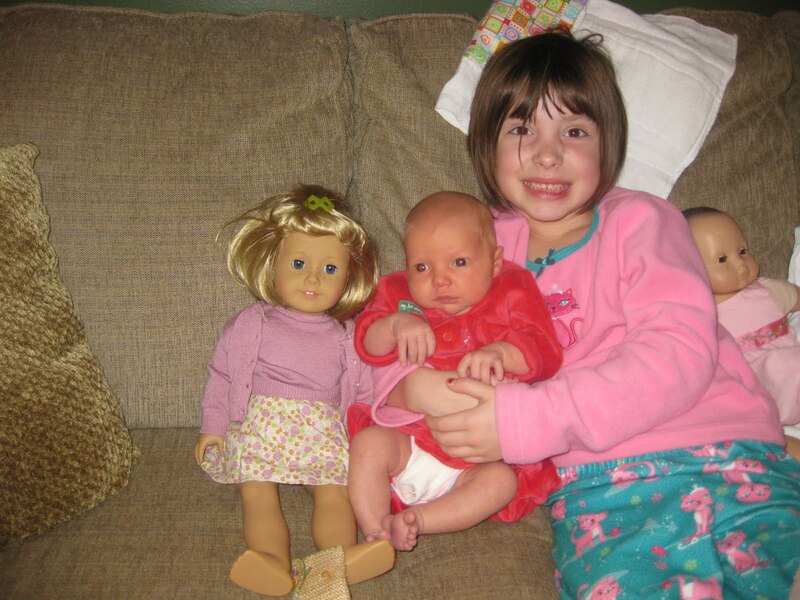 And if we ever take the American Doll plunge, it will be with Kit (Kit looks like my 3 yr old daughter). 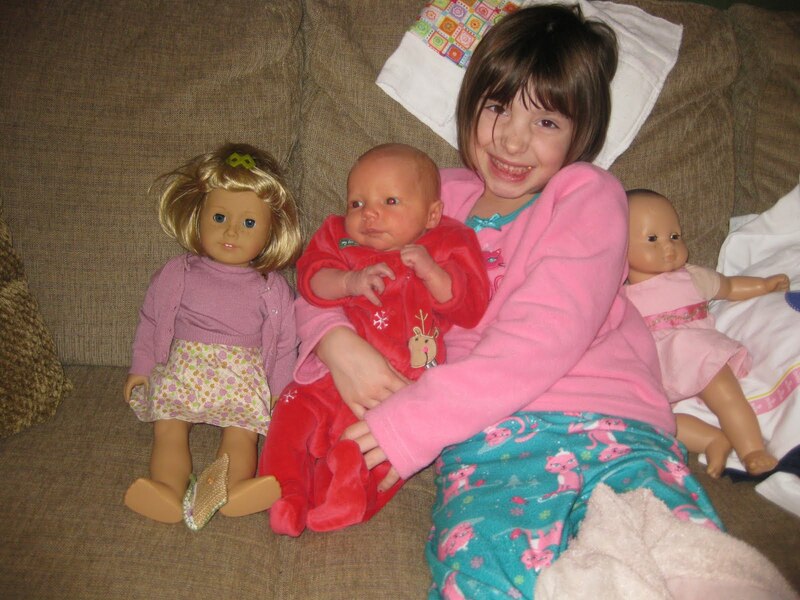 Right now, though, I have the princess convinced that all there is to American Dolls is the nice pictures they send us in a catalog every month. 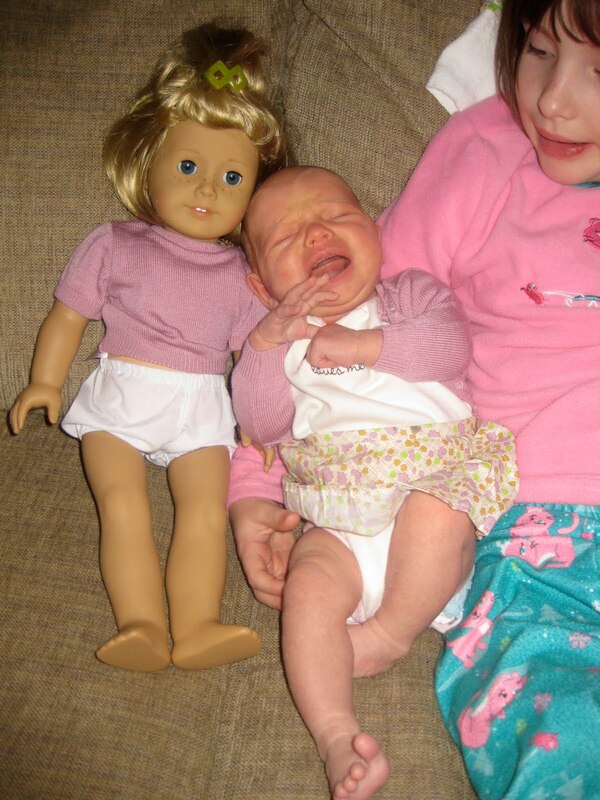 If she finds out there are real dolls to be had, I am done for.